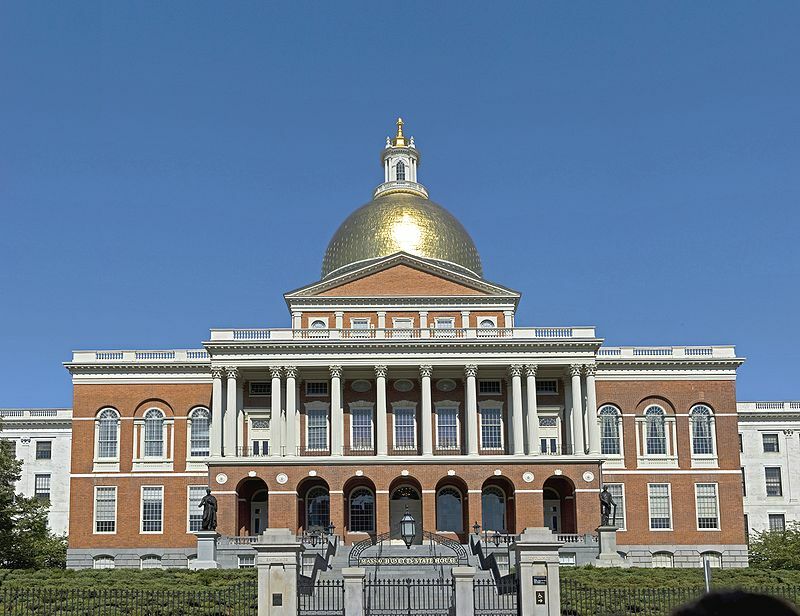 The performance of 345 historic double hung calamine windows in the 1917 wing of the Massachusetts State House in Boston raised questions about the ability of calamine windows to extend the life of a wood window. The cost of reproducing copper clad wood windows likely decided the fate of a plan to replace them clad in copper. This building is part of an historic complex dating back to 1790 and it at first seemed that as original historic fabric that these windows would be restored. It was planned to reproduce about a third of the windows and to restore the rest, but after much consideration, the decision was made to replace them all with new wood windows at about one quarter of the cost. Part of the problem was the price. The history they contained couldn’t justify the cost differential. The other part of the problem was that with so many windows scheduled unrestorable after just eighty some years, it would seem that their replacement cycle payout was only fair. It was decided that their restoration wasn’t a wise use of the Commonwealth’s money, in light of their performance to date. To see if the record of this group of windows is predictive of the performance of this type of window, we must take into account the design and context of the original windows. The window contractor for the entire project, Richard Muckle of Muckle & Associates of Lawrence, MA, had the opportunity to deconstruct the windows and to analyze their failure. He observed that most of the sheet metal joints were coped and then simply butted and filled with solder, offering little resistance to thermal movement or to the stresses of operation. The cores were made of very casually joined American chestnut. The original artisans can’t explain their choices, unfortunately, but perhaps we should give them the benefit of the doubt. After all, metal cladding was never intended as a strategy for extending the life of an installation but as a measure to reduce the amount of readily combustible material in building interiors, a minimum goal which they fully achieved. Regarding performance, while these butted joints may have contributed to a flatter, cleaner look, Guild Member Cameron Forbes, of Heather & Little, Ltd., notes that such a joint is not as strong as the lapped and sweated joints Heather & Little installs today. We have benefited from the gift of 80 years of hindsight, of course, and can specifically design all work to address today’s desire for low maintenance and extended replacement cycles. An additional 80 years of that same hard won commodity (hindsight) will help to determine whether calamine windows can be expected to return all of their initial cost over their lifetime in saved replacement costs. List of Metal Window Restoration Craftsmen. List of Wood Window Restoration Craftsmen. This entry was posted in Window Restoration and tagged Calamine Windows, Massachusetts, Toronto. Bookmark the permalink.